Unlimited, No Contract 2, No Taxes! Get Great Business-Class or Residential High Speed Internet Service in Clermont, Groveland, Mascotte, Howey, South Leesburg, Center Hill, Webster, Bushnell & Polk City, Florida! 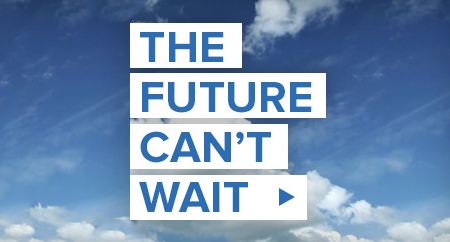 Internet speeds up to 100x faster than satellite internet, air cards, and hotspots! And no data overages! 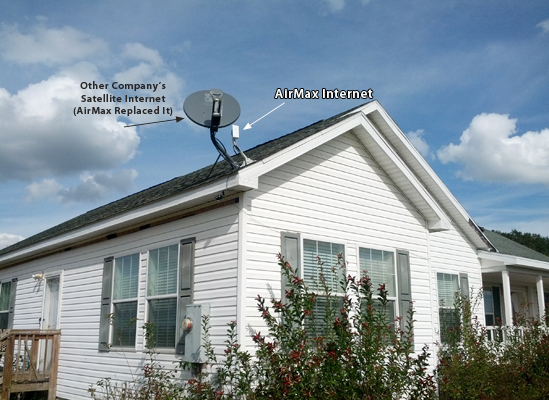 AirMax Internet is fast, reliable, and secure - even during bad weather! Tier-1 fiber-connected redundant network makes our internet service fast! BLOWS AWAY SATELLITE, MiFi, & DSL. GREAT CABLE ALTERNATIVE! Unlimited/no cap, no term contract, no taxes! Up to 3.5 Mbps/1 Mbps down with AirMax Boost - bursts up to 5 Mbps. Very fast! Email, surfing, gaming, music,Youtube, Facebook, phone, medium/heavy HD video streaming (Netflix, Hulu, ect), multiple family members at same time, heavier business use. Up to 7.5 Mbps down/1 Mbps up with AirMax Boost - bursts up to 10 Mbps. Super fast! Free, unlimited long distance calls in the U.S. & Canda, low cost international calls. A small receiver is mounted on the outside of your home or building which picks up a secure encrypted WiFi signal from our nearby tower. An Ethernet cable runs from this receiver to your router or computer. It's that simple! Free site test if needed, to ensure you have great service. We'll know if this is needed when we look up your address. service is providing rated speeds. No term contract2. Customer is required to sign a Terms of Service Agreement. A free month of service is awarded to existing customers for each referral that signs up for AirMax Internet and is current for 60 days. View Business Internet Service or contact us by email or phone 352 366 1252. $100 installation paid at time of install includes everything needed to install on one computer, Xbox, or a wireless router to serve other computers. If a 20ft mast is needed, we provide them for $105 including heavy duty standoff mount. Services are generally available from Leesburg south to Polk City and from Clermont west to Bushnell FL. Please call us to confirm service at your location. High speed point-to-point service (PTP) and backhaul service is available inside and outside of this area up to 500Mbps.